Since the last crime round up AWW reviewers have paid a lot of attention to the flurry of second books being published by our latest crop of emerging talents. Among the accolades she received for her debut novel THE DRY Jane Harper won this year’s Davitt Award for best adult novel by an Australian woman crime writer and the Ned Kelly Award for best first fiction during a busy week at the end of August. 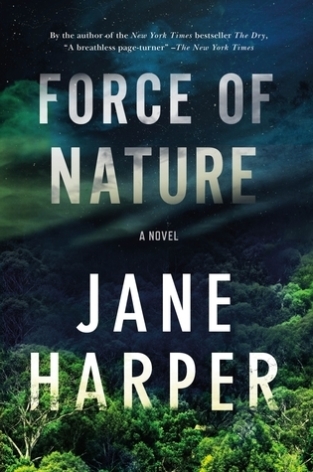 Less than a month later her second novel, FORCE OF NATURE, was released. Featuring the same central character the book has a different setting to the first as it recounts the events surrounding the disappearance of a woman while on a corporate hiking retreat in Victorian bushland. All of the elements came together seamlessly to stitch a story that had me gripped, and left me completely unsure of what theories I wanted to put my money on. I’m not sure whether there was any factual basis to the historical murders but I was born and bred in the Eastern states so I remember the Belanglo State Forest murders, and that’s what this left me thinking of. The writing is tight, the suspense is taut, the relationships are slippery to focus and the characters are complex. The story is one that captivated start to finish and left me wanting to see more of FPA Aaron Falk. …once again Jane Harper shows her skill at depicting the harsh Australian landscape. In The Dry it was the tinder-dry bushland; in Force of Nature it is the wet, muddy, cold, isolated, suffocating closeness of the mountain ranges. Her descriptions of place are evocative and sensory. 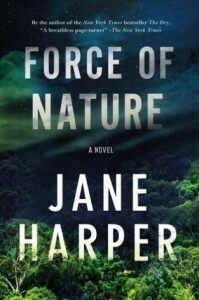 If you are an audiobook fan I can highly recommend the audio version of FORCE OF NATURE narrated by Steve Shanahan. It’s quite rare to find our stories told in our accent and Shanahan does a terrific job. Emma Viskic won the previous year’s Ned Kelly Award for best first fiction with her novel RESURRECTION BAY so fans have been waiting even longer to hear more from this author. AND FIRE CAME DOWN, released several months ago now, again features deaf investigator Caleb Zelic and takes place partly in Melbourne and partly in Zelic’s home (fictional) town of Resurrection Bay. Caleb is asked for help, in sign language, by a woman who is killed shortly afterwards. With beautifully balanced characterisations, action and setting, and some carefully structured social-justice messaging, everything about And Fire Came Down fits neatly together. Its setting is fictional, but feels real – a small town battling drugs and petty crimes; bored teenagers, and undercurrents of deeply ingrained racism while Aboriginal communities struggle for control of their own futures. 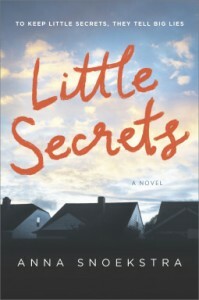 Anna Snoekstra has a second book out this year too but LITTLE SECRETS is a standalone novel. It is the tale of a small town journalist, Rose Blakey, who uses her own town’s secrets as the basis for stories that she hopes will get her noticed by a big city paper. I really enjoyed Anna Snoekstra’s second novel. Her depiction of a struggling Aussie rural town that has lost its major employer feels spot on. The heat, flies and squashed cane toads are very evocative of a hot dusty town that has seen better days. Most of the characters are not very likeable but they are certainly very real and believable. Rose has the most spark of her generation but as a wannabe journalist makes some questionable decisions that she lives to regret. The Sting is a well written and precise text. There is sharpness in Kyriacou’s style of writing that suited this book. The format was a little likes a crime fiction novel, the chapters were sufficient but somehow they got under your skin, urging you to read on. 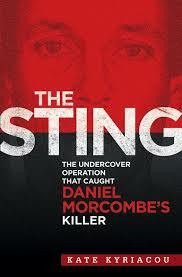 The Sting is unquestionably well researched, offering a comprehensive standpoint on one of Australia’s most high profile cases. In the places where it is needed, Kyriacou is sensitive to the issue at hand and balanced providing the reader with a basis to the operation with the background of Cowan but she never sought to glorify him. In true crime circles this type of operation – devised by Canadian police and known as a Mr Big technique – is undergoing some serious scrutiny due to a couple of high profile overseas cases where false confessions are said to have resulted from the technique’s use. Though that is obviously not an issue in this case given the killer led police to Daniel Morcombe’s body it does add a layer of interest to the book and seeing if it shows how the technique can be put to most effective use. I’m Bernadette Bean. 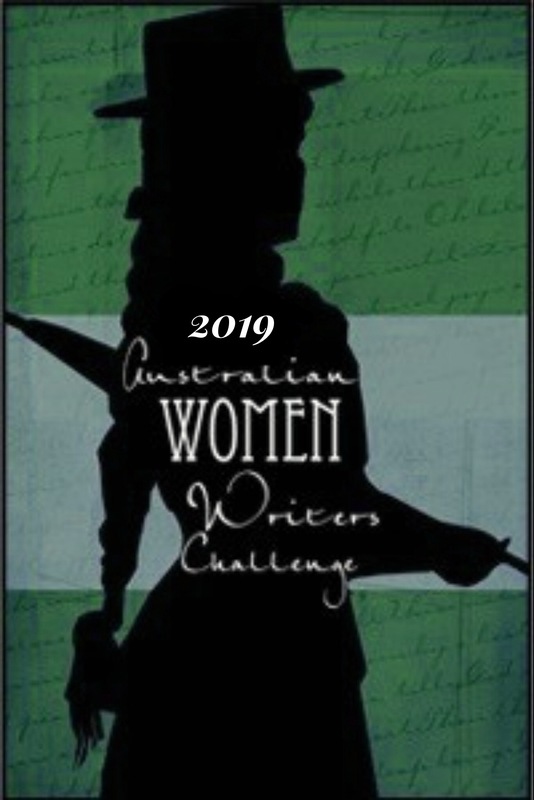 I’ve been reading avidly for as long as I can remember, blathering about the subject since late 2008 at Reactions to Reading, am co-host of Fair Dinkum Crime, a site devoted to promoting and discussing Australian crime fiction, and have twice been a judge for a national crime fiction award.